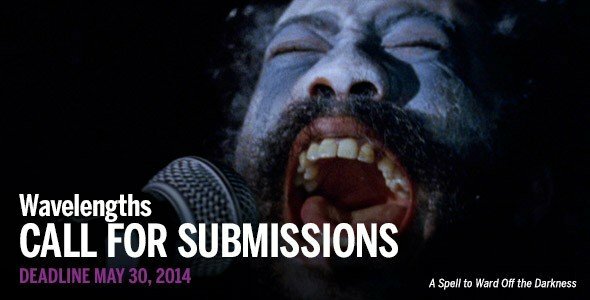 There is no official submission process for Wavelengths, no forms to fill out and no entry fee. However, please be sure to include a detailed description of the work, its title, year, country of production, runtime, final exhibition format, screening history, as well as the artist's name and contact information. Please also contact us in advance if you prefer to send a film print for preview. Other than prints, previews will not be returned to the filmmaker unless they are picked up in person. If you cannot meet the deadline but have works-in-progress for consideration, please do not hesitate to be in touch. Wavelengths, TIFF’s avant-garde showcase is a unique forum for international film and video art hosted within the context of one of the world’s largest and busiest public film festivals. Prizing formal innovation and original expressions, Wavelengths strives to provide a thoughtfully curated selection of artist-made film and video presented in the cinema.